Every week the Rocky River Public Library adds new travel books to its collection. 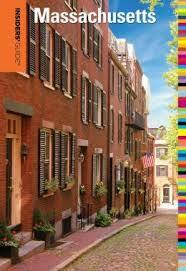 One of the newest titles is Insiders’ Guide to Massachusetts by Maria Olia. The series provides an insider’s perspective on visiting each location. This guide covers the state of Massachusetts from east to west- the history of Boston and Plymouth, the relaxing Cape Cod beaches, and the quaint Berkshires. For each area of the state there are listings of attractions, accommodations, shopping, and restaurants. There are also suggestions for day trips. Be sure to check out the Massachusetts guide or any of the many other titles in this series when planning your next trip.